Vincent Cobee: Datsun is tailoring vehicles to local consumers. "People only want to pay for what they want," he says, "not what somebody in another country wants." 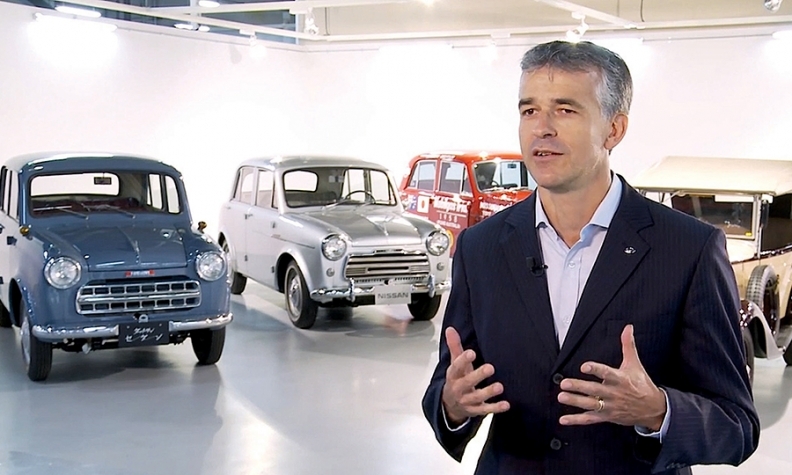 GENEVA -- Vincent Cobee's mission to reintroduce Datsun around the world is a mixture of irony, politics, auto industry counterintuition and a fair amount of raiding the corporate closet for new products. Cobee, a Frenchman with a Harvard MBA, has been tasked by Nissan Motor Corp. CEO Carlos Ghosn with re-establishing a name that Ghosn's predecessors killed in the early 1980s. The Datsun name still stirs positive feelings among American consumers of a certain age who fondly recall the 1970s-era Datsun 240Z and the durable little Datsun pickup. And yet the United States is one market in which Nissan has no interest in reintroducing Datsun. "It's more than an irony that we're not going back there," acknowledges Cobee, 46, a tall and lanky father of three who trains for triathlons in his off time. "If I had my way, one day, I'd find a way to do that. But it's not in the plans." Instead, Ghosn wants Cobee to establish Datsun as a low-cost aspirational brand in emerging world markets, including Indonesia, Russia, India, South Africa and Latin America. In an industry in which automakers count on large vehicles and higher-priced models to deliver their meaty profit margins, Datsun focuses on products that retail for less than $7,000. Sales of the oddly named on-DO gave Datsun a big boost in Russia. It must derive sales from a patchwork of markets in which consumers do not particularly want cars designed with other regions in mind. So Cobee's team is engaged in some contrarian industry thinking. Datsun is building assembly lines before it launches sales. The brand has tossed out the accepted wisdom among importers that local production is possible only after local sales reach a critical mass. It is entering Russia, Indonesia and India with Datsun-designed vehicles built in local Renault-Nissan Alliance factories. And the assumption that entry-level markets are best served by a common global nameplate, such as the Ford Fiesta or the Volkswagen Golf? Datsun disagrees. Cobee believes the last thing consumers in India want is a car engineered for Spain or England. "People only want to pay for what they want -- not what somebody in another country wants," Cobee said during an interview at the Geneva auto show. "What is important to Indian consumers? It's interior space, exterior compactness, price, styling, fuel economy, reliability, engine size and that's it. "But what's important in Indonesia? It is seven-passenger seating. For Russians? It's high speed, vibration isolation, a very large trunk and the ability to withstand the cold. Heating isn't important in Indonesia. So why would you create one model for all markets?" Vincent Cobeeon Nissan's lack of interest in reintroducing Datsun to the U.S.
"It's more than an irony that we're not going back there. If I had my way, one day, I'd find a way to do that. But it's not in the plans." That means that Datsun is creating stand-alone local products instead of trying to sell a cost-efficient global car in multiple markets. "I'm not going to develop new engines and platforms," Cobee says. "I'm going to look around the Renault-Nissan Alliance to find feasible solutions to create aspirational products that can be made in these markets. "If I need to borrow or steal existing assets -- plants, transmissions, platforms -- I will. If they don't meet my expectations on weight, performance, cost, I will work on them." 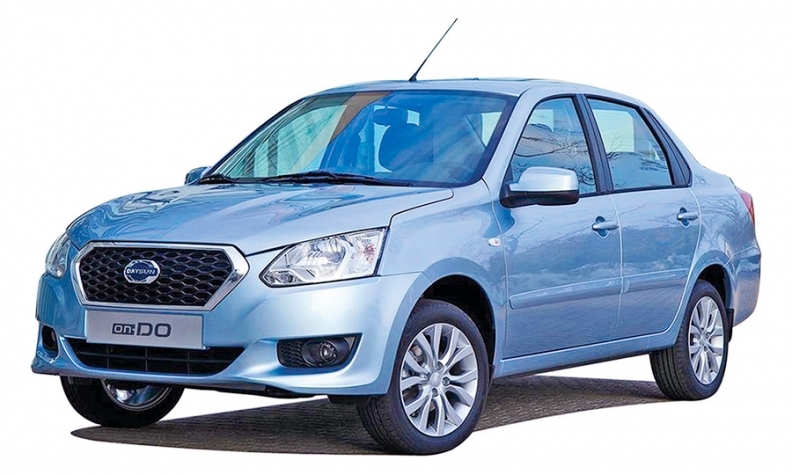 In September, Datsun entered Russia with its first car, the oddly named on-DO. The on-DO uses a flexible, multivehicle chassis called the V platform, of which Cobee headed development for Renault-Nissan. But the Russian car was styled in Japan, validated in Japan, engineered in Russia to Russian market tastes, fitted with a different transmission from the one used elsewhere on the V platform, and is now being manufactured in Togliatti, Russia, in an AvtoVAZ plant. AvtoVAZ is a part of Renault-Nissan, and Ghosn is its chairman. The results: After just seven weeks on the market, Datsun's 37 Russian dealers were selling 5,000 on-DOs a month. That made it the seventh most popular vehicle in the country, and propelled the new brand to No. 12 in a market with more than 30 marques. Cobee finds some humor in his achievement: He must take Datsun into some difficult situations. "We're selling cars in some tough places," he says. "These are places where inflation can be high or low, where foreign exchange can move wildly. The rupee, the ruble, the rupiah and the rand all saw tremendous change last year. "We had presidential elections in India, Indonesia and South Africa and Brazil. And in the only place where we were not trying to sell during a presidential election, Russia, you might have heard about the little border conflict with the Ukraine. "Growth and stability don't go together." Cobee has not yet succeeded in India -- which the venture believes will someday become its volume market. The popular press in India has been somewhat skeptical about Datsun as a business venture, despite rave reviews for the cars themselves. Datsun sold only about 13,000 cars there in its first 10 months. It is hoping for annual sales in India of 50,000. Cobee acknowledges that he is facing a double challenge in India. One is the automotive brick wall represented by Datsun's two larger competitors, Maruti Suzuki and Hyundai. The two automakers together control more than 60 percent of the compact market in India. The other challenge is the Indian tradition of buying cars from neighborhood dealerships based on recommendations from friends and family. That is a tradition Datsun must simultaneously embrace and challenge, Cobee says. One part of that will be adding dealers. He wants to end up with about 340 Indian dealerships, compared with 150 now. But he also wants to spread the news about Datsun's products through word-of-mouth and social media. "That means you buy a Datsun because friends and family recommended it," he says. "Not because you saw our ad during a break at the cricket match." Forecasters predict Indian auto sales will zoom upward in the coming decade. Cobee believes India will reach passenger vehicle sales of 5 million a year in the near future, up from 1,851,475 in 2014, according to the Society of Indian Automobile Manufacturers. The expected growth will create opportunities for competitive new brands such as Datsun. "But to succeed at selling a car for under $7,000, we must be absolutely clear about one thing," he cautions. "You have to keep in mind that, for your customer, $7,000 is a massive personal investment. "Decades ago, Datsun understood that customers expected a lot of car for a reasonable price," he adds. "We are continuing that tradition."